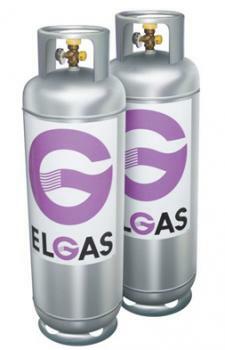 LPG (or 'Liquefied Petroleum Gas') hot water systems work very much like natural gas systems. The key difference is in the fuel source. LPG hot water heaters use fuel from an externally connected LPG tank rather than connecting to existing gas piping. LPG can be used to fuel both tank storage and continuous flow varieties of hot water system, and can be used in place of natural gas as a solar hot water booster. Where are LPG hot water systems most commonly found? Areas where there is no access to gas reticulation and where electricity is expensive, unreliable or unavailable will naturally have a higher number of LPG systems, but as LPG is relatively expensive to buy it is not a particularly common type of water heater. Is an LPG hot water system for me? If you are not planning to use much hot water or you’re in an area with lots of exposure to sunshine, then an LPG boosted solar hot water system may be a viable alternative, as the booster would be used much less frequently to bring the water up to the right temperature. An LPG hot water system’s environmental efficiency is on a par with that of natural gas. 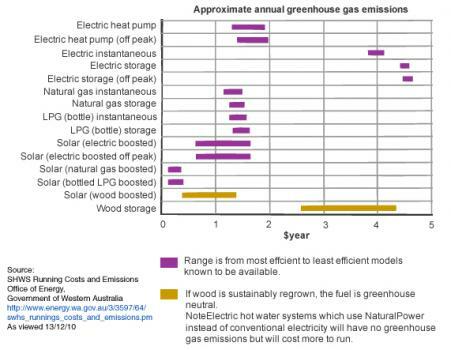 LPG is roughly on par with natural gas in terms of greenhouse gas emissions. If you are installing an otherwise standard storage tank system then the only major requirement will be somewhere safe to store the gas tank. Because LPG is highly flammable, you need to keep it away from any electrical connections or open flames. Make sure that the location you choose has easy access, as you will need to replace or refill the tank when the LPG is exhausted, depending on the type of tank you are using. If you are using LPG to boost a solar hot water system, you will also need to take into account the considerations involved with setting up a solar hot water system.